Releasing lobsters is a surprisingly slippery process. They squirm, wiggle, and slide from the grasp of the hand. 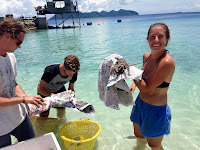 But before the lobsters can be released onto TRACC’s House Reef, the lobsters must make it to Pom Pom Island – wrapped in newspaper, placed on ice, and snuggled into a cooler. especially fidgety ones escape from our grasp and Tom must mission to retrieve them from the shallows. 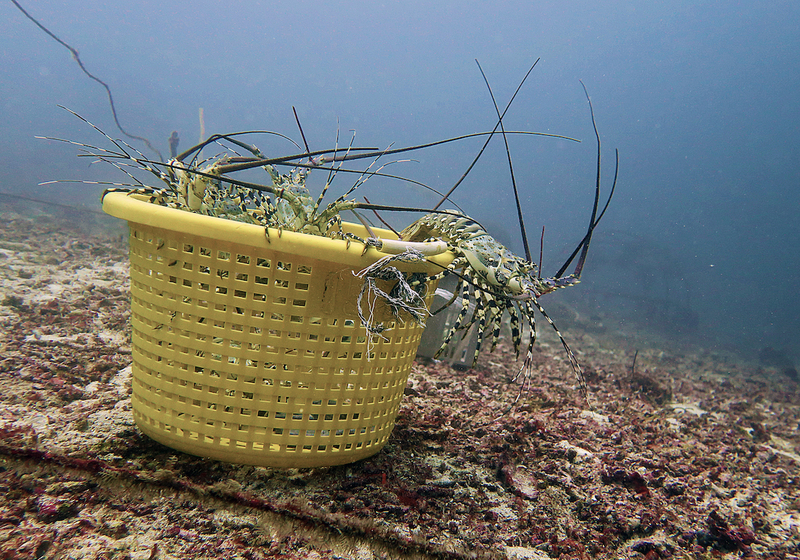 Next, we don our scuba gear and form buddy pairs to bring the basket’s full of lobsters to what we hope will be their new home, carefully we place the baskets on the ocean floor near our newly crafted and placed artificial reef of a “lobster house” and tires. Lobster baskets safely placed we wait and watch. The lobsters test their new environment, peeking over the edge and testing the water with their antennae before clambering out of their baskets to explore the crevices of the tires and lobster houses as their new home. Over the next few days the lobsters disperse across the reef, sometimes spotted by eager TRACC divers. And sometimes, to entice the lobsters to make a permanent home, Tom goes back down to lay little sausages down by the tires and houses. TRACC hopes that by releasing the lobsters into our house reef, we not only add biodiversity and beauty to the reef, but also balance our ecosystem. In addition to hunting for urchins and clams, the lobsters scavenge and feast on detritus. 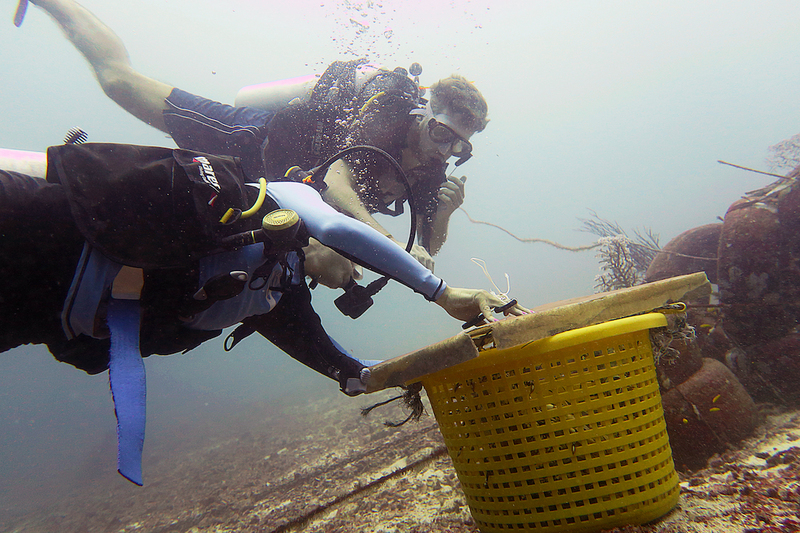 Playing as essential role in cleaning the reef and keeping it disease free.